Mahindra Scorpio Automatic is going to be offered on top end S10 trim in 2WD and 4WD avatar. Mahindra Scorpio AT shall be powered by 2179cc, 4-cylinder mHawk diesel engine that churns out a maximum power of 120 bhp at 4,000 rpm with a peak torque of 280 Nm at 2,800 rpm. Mahindra’s Scorpio AT would be made available with Automatic badges on its tail gate as well as the sides to keep itself distinguished from manual transmission variant. Mahindra Scorpio would be offered both in 7 and 8 seater variants, Mahindra Scorpio Automatic gets some cool features like touchscreen infotainment system, climate control and cruise control. The Projector headlights with LED daytime running lights, new radiator grille, body colored handles and 17” alloy wheels will also be evident while infotainment will be in the form of CD, DVD, USB, Aux-in and Bluetooth connectivity. The AT version of Scorpio would have 6 inch touchscreen infotainment system, voice-assist system and GPS navigation/assistant along with rain/light sensors. When it comes to safety, Mahindra Scorpio AT variants offer dual front airbags, ABS, EBD and anti-theft system. Mahindra Scorpio AT which comes with S10 trim a 2WD is going to be offered with a price tag of INR 15.49 lakhs where as the S10 4WD AT is going to be priced at INR 16.92 lakhs in India. Various dealerships have already started bookings of Scorpio AT with a down payment of 50,000 Rs with deliveries promised in the next 45 days. 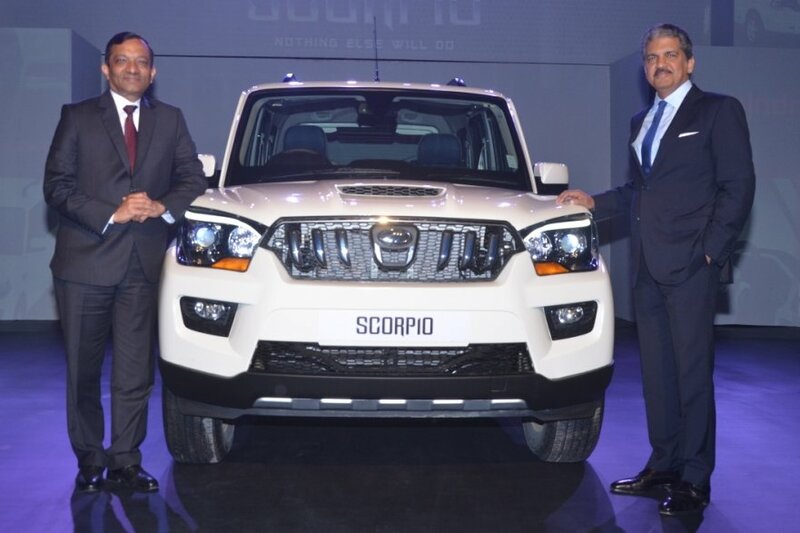 Mahindra Scorpio AT is going to take on likings of its rival cars like upcoming Hyundai Creta diesel automatic, as there are less diesel automatic options in this segment.